In 1993, Mary-Kate and Ashley Olsen found time between Full House episodes to record an album called I Am the Cute One. Songs include “I Am a Kid,” “I Love to Scream,” and “No One Tells the President What to Do.” The last of those is a celebration of the truth of its title—the president can do whatever he wants, and so seven-year-old Mary-Kate and Ashley want to be president. (Sample lyrics: No one tells the President how to dress / no one bugs him if his oval office is a mess.) Watch a performance featuring the twins with a Bill Clinton lookalike here. 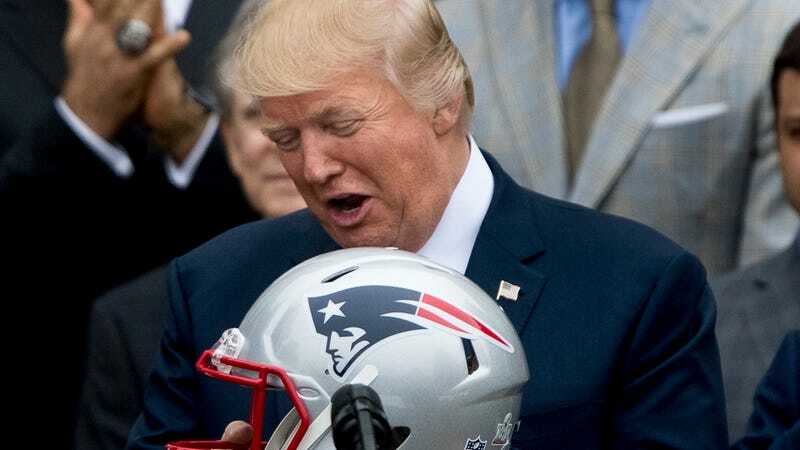 Unfortunately, the report places this conversation before Brady awkwardly tiptoed around using Belichick’s name while discussing Malcolm Butler’s Super Bowl benching (“I wish he would have played, but the coach decided not to play him”), so there will not be any forthcoming White House leak on whether Belichick viewed that as shade. Sad. Annoyingly Coy Report: Eagles Owner Jeffrey Lurie Called Donald Trump&apos;s Presidency "Disastrous"